If you have a WebsitePanel plan with us, you can register your own nameservers (ns1.yourdomain.com and ns2.yourdomain.com). If your domain is registered with us, please contact us and we will create them for you. If your domain is registered with another company, please get in touch with them for the nameservers setup assistance. 1. 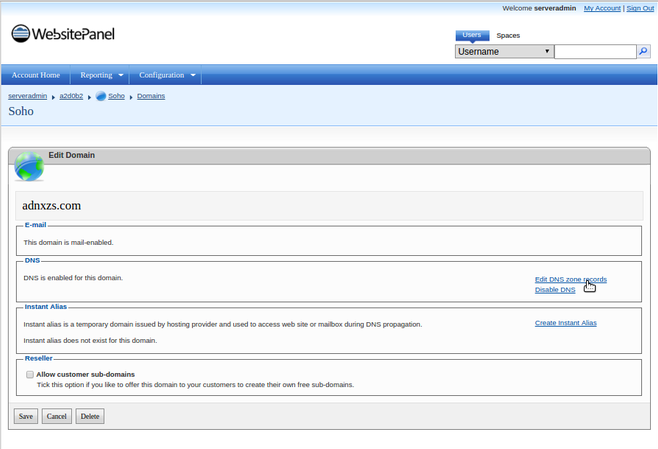 Log into the WebsitePanel and go to the Domains section. 2. Click the domain you would like to set the nameservers for and then click on Edit DNS zone records. 3. 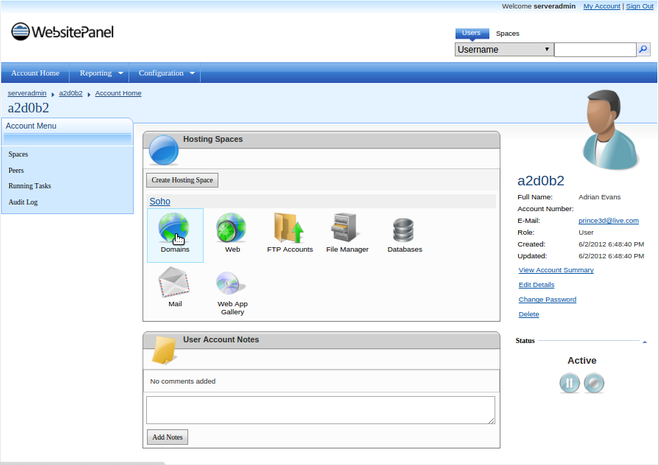 Create A records for ns1.domain.com and ns2.domain.com pointing to the IP addresses you used while registering the nameservers and Save the Changes. Allow 24-72 hours for the DNS changes to propagate worldwide and enjoy your hosting.